Women’s Substance Abuse Program Undergoes Calamitous Cascade of Problems: Where Are the Funders? Massachusetts is in the midst of an opioid epidemic, with 978 deaths from overdoses recorded last year, a 48 percent increase over the previous year. And the trajectory is going nowhere good, with 114 suspected opioid-related deaths in December. 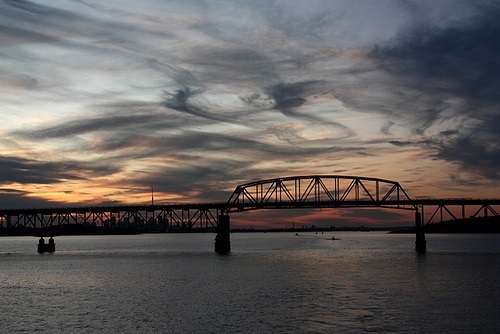 In the midst of this horrible reality, two-thirds of the beds for women seeking treatment were eliminated overnight in the October closing of the Long Island Bridge. But beyond the human toll, there have been terrible financial costs to Victory Programs and Bay Cove Human Services. Both of their centers each filed an insurance claim on its “business interruption” insurance policy, but their claims were rejected by Philadelphia Insurance Cos., saying wear and tear on the bridge was not covered. “We’ve lost our entire investment on Long Island without any ability to recoup it,” said Jonathan Scott, chief executive of Victory Programs, which ran the 47-bed Joelyn’s Family Home. “Because the bridge hadn’t fallen into the sea or our building didn’t burn down in a fire, that closed the door” on any claim. “We’re certainly frustrated,” said Bill Sprague, chief executive of Bay Cove, which ran the Andrew House detox center on Long Island. Bay Cove paid $38,763 last year for business interruption insurance. “The city closing the only way you can get to your business would seem to be the reason you buy that stuff,” he said. Massachusetts Attorney General Maura Healey may challenge the claim denials, but all of that will take time. Victory Programs spent $2.5 million to build out Joelyn’s eight years ago. Not only is it unable to serve many women in need, but it is losing almost $60,000 a month in program revenue yet must still pay the $800,000 loan on the building, although the bank is making some effort to be reasonable. “It’s really, really staggering,” Scott said. “At a time when we should be growing, in the middle of a heroin epidemic, I’m just trying to get stable.” The group has also had to get new property insurance at four times the prior cost because the site is unoccupied. Foundations, nonprofits, and governments in sanctuary cities face stark choices as newly empowered Immigration and Customs Enforcement officials begin massive deportations.